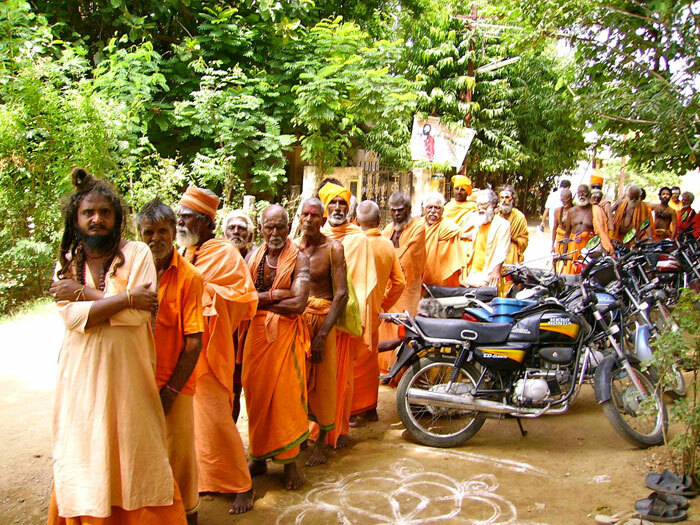 Tiruvannamalai, the sacred abode of Lord Shiva, has been attracting and sheltering Sadhus, devotees and destitutes. 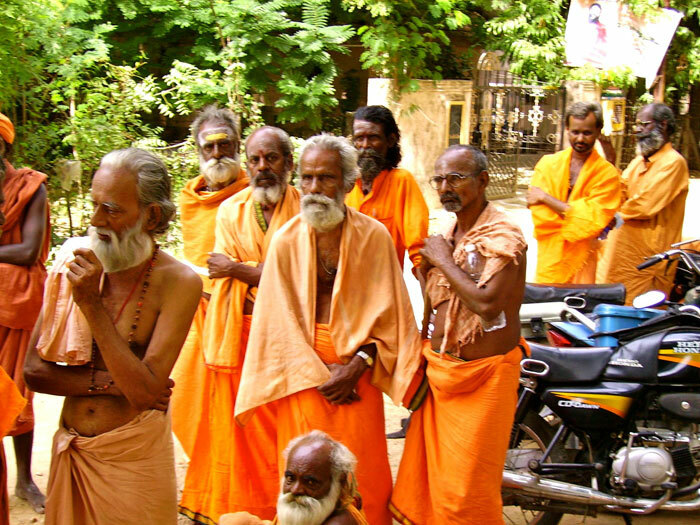 There are around 700 Sadhus who live on what chance brings them, and their number is increasing day by day. 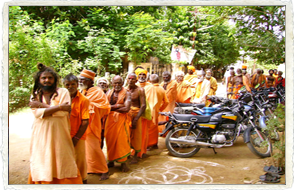 Service done to the poor, particularly to the Sadhus, is the true service to Lord Shiva. 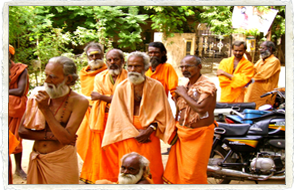 These people live in the open, exposed to the vagaries of Nature in pitiable conditions. Most of them, in their advanced age, are afflicted with one or more diseases and there is no place for them to turn to. 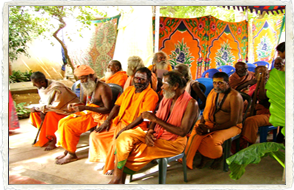 To fulfill the complete medical needs of sadhus and destitutes, Athithi Medical Care was instituted. 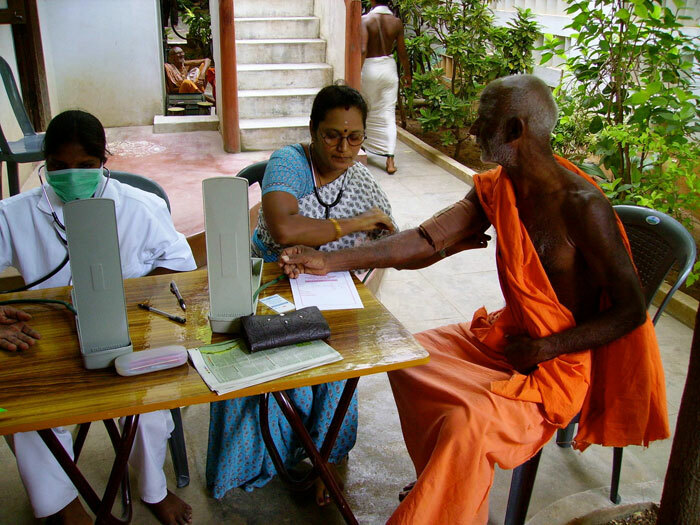 The Ashram runs a free medical clinic exclusively for sadhus. From Monday to Saturday, Dr. N. Vijaykumar, M. S. (Surgeon) treats patients every evening. On Sundays, Dr. S. Gokulnath, M.D., D.N.B (Cardiology) attends to the patients. 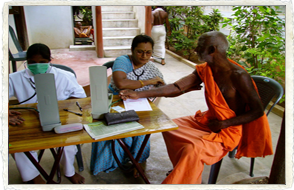 The Ashram periodically conducts medical camps in various disciplines. On screening, those who need surgical intervention are sent to various hospitals and on complete recovery they are sent back to their respective places. Dr. R. Vijayaraghavan, M.S., M.M.E.D., F.R.C.S., E.D., Consultant, General Laparoscopic Surgeon, and Dr. Chandrasekar, M.S. (Ortho), Directors of R.M.V. 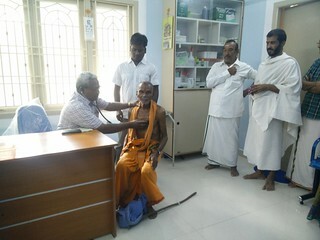 Hospital, Bangalore, attend to the surgical needs of the Sadhus. 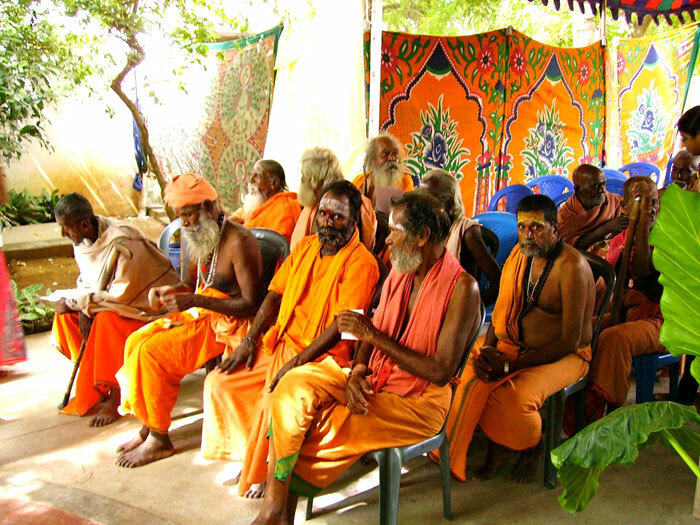 The service rendered by the Ashram brahmacharis and ashramites under the guidance and directions of Maathaji Sowmiya has spread far and wide, bringing Sadhus from many parts of India for medical and surgical treatments, with the confidence and faith that no sadhu will be sent back unattended . If you are interested to participate in this noble seva, please click here.